When you apply for credit cards, many times you will be automatically approved. 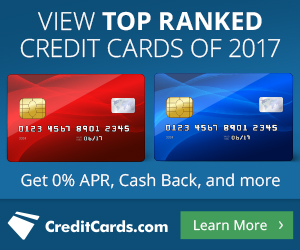 However, as your credit profile and number of cards in your wallet expand, you’ll eventually receive a decline and need to do some reconsideration calls to the bank. The decline does NOT mean you won’t receive the card. In fact, during my May 2013 App Party, all six of my applications were initially declined. When I called the reconsideration line, we talked through the applications, and I’m happy to report that all six were approved upon reconsideration!!! The only thing worse than getting denied is calling the reconsideration line without thinking through what you’re going to say. Your objective is to get the agent on your side by being nice and explaining why you are a better credit risk than their first analysis showed. With these facts in hand, you’ll greatly enhance the chances of approval of your application. They used to have phone numbers that you could call to discuss your application. After trying every number I had and could find on other sites, I talked with someone at Customer Service. BofA dropped all of their phone numbers, and you can no longer call in to verify status. You have to use the link below or wait for the decision letter in the mail. 866-422-8089 – try this number. I was recently referred to it during my August 2014 app party when following up on my Alaska Airlines application. From time to time, the banks change these phone numbers. If a link ever stops working or if you have numbers that work better for you, please send me an email or comment below, so I can update this page. Thanks! Good luck with your reconsideration calls!